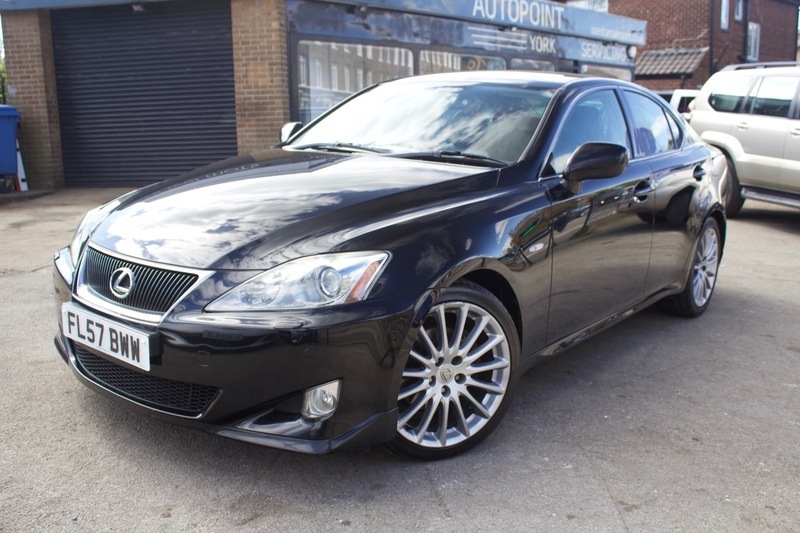 Here we have our sort after Lexus IS250 SE-L finished in Black with Black Leather. The car has stacks of service with Main Dealer Stamps. The Lexus comes with a long list of additional extras over the standard model this includes Reversing Camera, Heated and Cooled Seats and Flappy Paddle Gearbox. The IS250 also comes with Air Conditioning, Alloy Wheels, Climate Control, Electric Windows, PAS, AUX Port, CD MultiChanger, Cruise Control, Cup Holders, Electric Mirrors, ISOFix, Keyless Door Entry, Keyless Start and Start/Stop Technology, Mark Evinson Premium Sound System, Heated and Cooled Leather Seats, Reversing Camera, Back Blind and Steering Wheel Controls. The car also comes with MOT, 12 months Service, Warranty, Free AA Cover for a year and Pre Delivery Inspection Report.